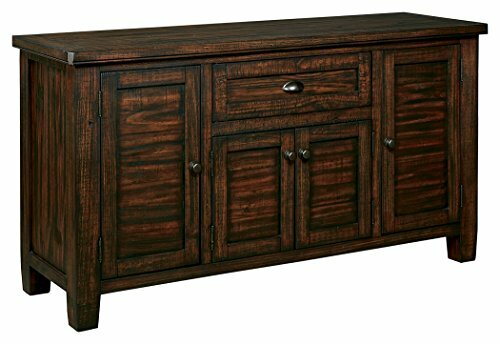 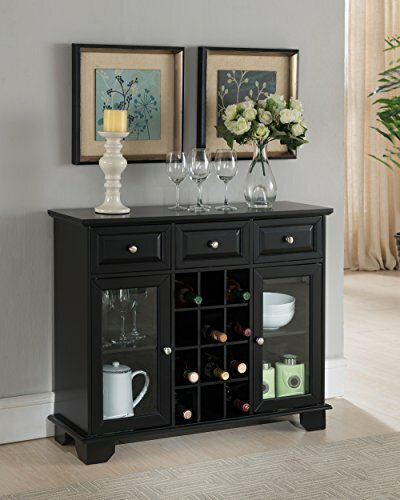 Kings Brand Furniture Buffet Server Sideboard Cabinet with Wine Storage, Black Finish Wood. 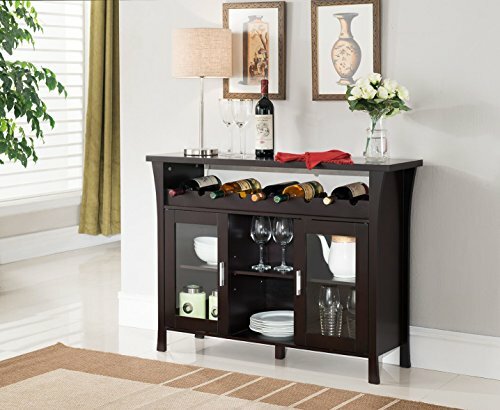 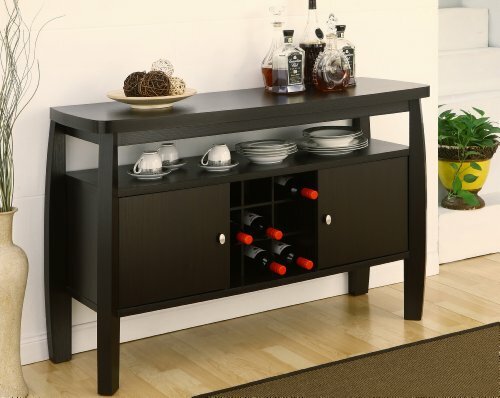 Make this wine rack buffet table a well-used furnishing in your home for entertaining guests. 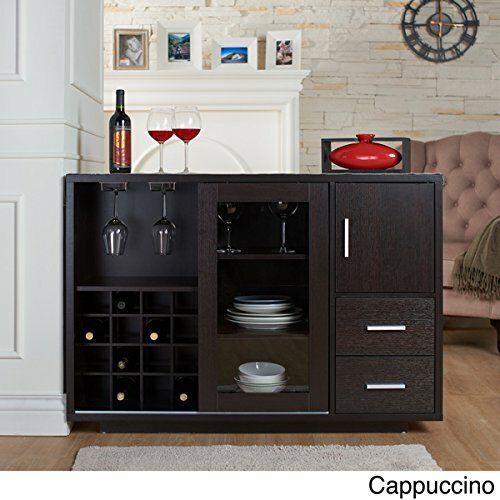 The 12-bottle wine rack displays your collection to your company, while the two cabinets can house wine glasses until they are needed. 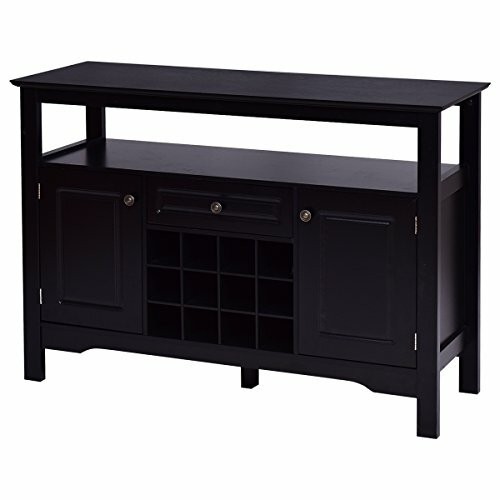 Dimensions: 36.5"W x 12"D x 30.25"H.Simple assembly required. 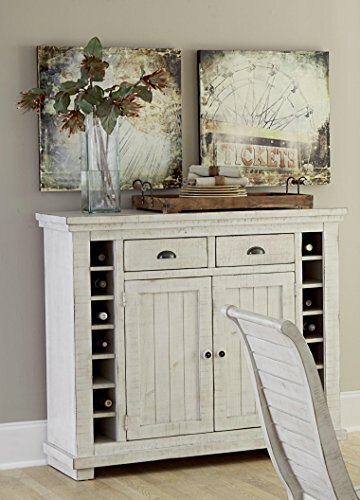 Your home is a natural extension of you. 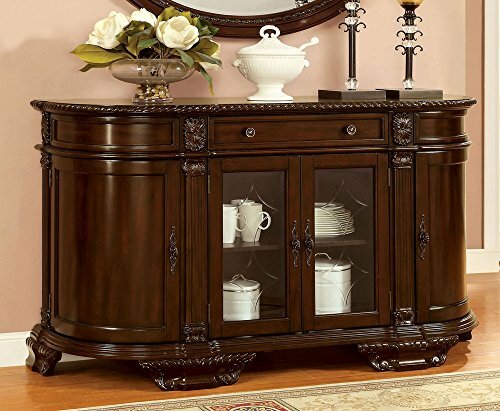 Add this beautiful furniture from International Concepts to spruce up any décor. 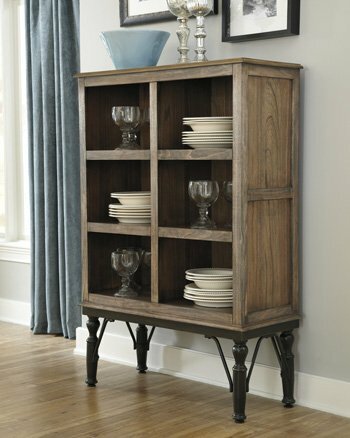 Made from solid Para wood with a butcher block surface. 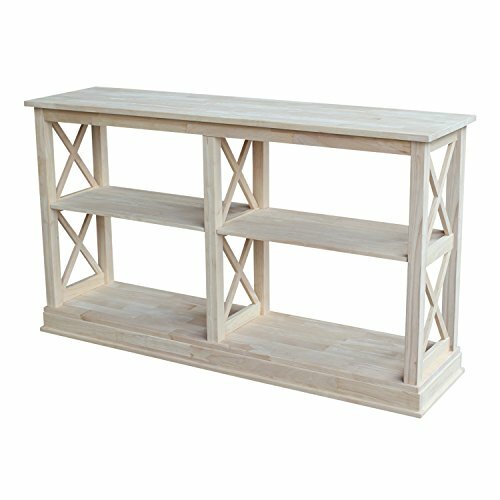 The size of the center shelf is 13.8'' X 27.4''.